Being the capital of Indonesia, there are a lot of startup companies in Jakarta. In recent years, the number of coworking spaces in Jakarta has risen by some margin. Thus making Jakarta known as a place where several reputable startups in Indonesia are born. Throughout the years, people in Jakarta have gone from working in a corporate office, coffee shops all over Jakarta, work from home. Finally, they are heading into a coworking space. There are tons of startups in Jakarta, moreover, there are tons of coworking spaces in Jakarta. But, finding those suitable working space in Jakarta could be difficult at times. Well, let us ease that inconvenience for you. Here are some recommended coworking spaces in Jakarta! GoWork Menara Rajawali is located in a strategic location as it is directly at the heart of Jakarta’s Central Business District, specifically in Mega Kuningan area. You’ll only be minutes away from locations in the likes of JW Marriot Hotel Jakarta, Lotte Avenue, Kuningan City and Bellagio, not to mention Ismaya’s Djournal Coffee is also serving up their famous, freshly-brewed coffee just a few steps away. GoWork Menara Rajawali has 2 floors, thus making it the biggest coworking space provided by GoWork. However, if you are looking for a small office for rent in Jakarta, but this place is too far from you, sharing an apartment in Jakarta is never a bad idea. Not to mention the world-class facilities, aesthetically pleasing coworking space design, office desk, and meeting rooms provided by this coworking space. Imagine working in a mall, would you love that idea? There are only 2 coworking spaces in Jakarta (probably Indonesia) which has a coworking space inside a mall, this is one of them. GoWork Pacific Place is located on the 2nd floor in one of the most prestigious malls in Jakarta, predominantly at SCBD. This eye-catching coworking space has such cozy meeting rooms, state of the art event space, and a really aesthetic private office with a view gazing beyond the SCBD area. Why is it suitable again? Well, for those of you who couldn’t stay in the office for long, you could actually stroll around the mall, thus giving you easy access to all your favorite restaurants, cafes, and shops. For those of you coworking nomads who love to work in the chicest coworking space, this place probably suits you. Oh, we forgot to mention the really fast internet this coworking space provide, this would certainly ensure that this coworking space pays attention to the facilities provided. If you are someone who owns a startup company in Jakarta and looking for the perfect working space all around Jakarta, then this place would be the definite choice. Why? First of all, it’s located in the Setiabudi 2 building, therefore giving you easy access. It could be accessible via TransJakarta (the bus stop is exactly in front of the office), or you could grab a train and stop at Gondangdia Station if you hate taking a bus, but again we suggest you take the TransJakarta headed to Kuningan if you want to go here. 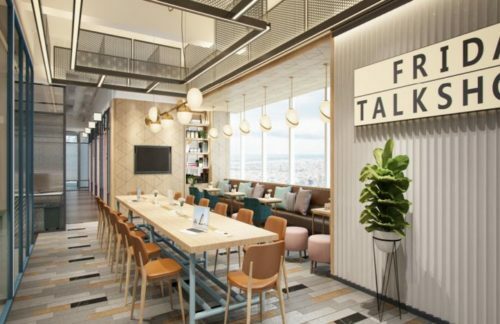 Another good news is that this specific coworking space in South Jakarta is located exactly beside Setiabudi 1 building, where there are tons of culinary if you are ever hungry in the office. What facilities would you get if you are working here? Well, you would definitely get lockers for your belongings, Skype rooms, mail handling services, couriers, business address. But, you would actually get a shower room if you become a member of this coworking space. So, you would work, play, and live (literally live) at the same time. What? You don’t want to live here? Well, there are tons of hostel, apartments, and housing behind this coworking office space. Ever wondered what it feels like to work in one of the tallest building in Jakarta? This coworking space in Sahid Sudirman Center offers that experience. One question, do you hate those pesky even and odd number plate restrictions? Well, the best thing about having an office in this coworking space is you could access it via several alternative roads which don’t even pass those restricted areas. To be precise, it is located exactly behind the Grand Sahid Jaya building and along the same road as LaSalle College Jakarta. Having an office here means none other than one thing, you would get numerous coworking facilities, what are those? First, you would definitely get a really high-speed internet, business class printers, state of the art meeting rooms, freshly free hand brewed beverages by our artisanal coffee partner every day, cleaning service, onsite staffs, and so many more. 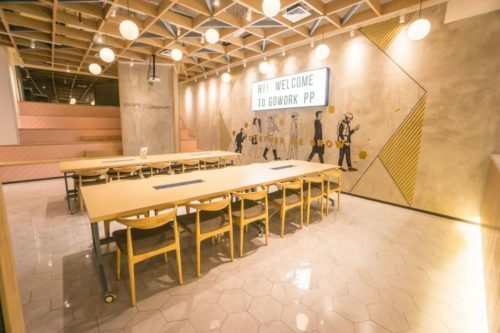 For those of you coworking nomads out there, this place might suit you well, since you could actually take a 5 to 10-minute walk to go to Citywalk Sudirman. 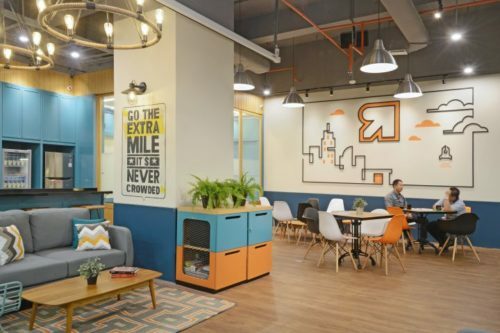 This coworking space in the heart of downtown Jakarta is located in Chubb Square, Thamrin Nine Complex, along with UOB Plaza and Indosurya Plaza. Due to its convenient location beside Grand Indonesia and Plaza Indonesia, you could hit your favorite restaurants anytime you want. Not to mention that working in here means you could actually get caffeinated all day long with the fabulous coffee operator, Woodpecker. 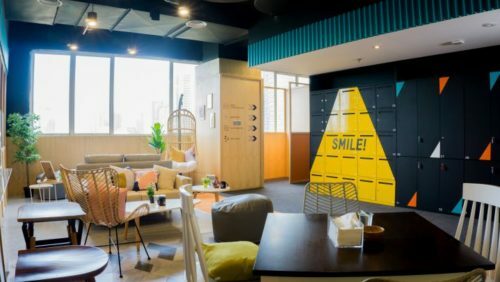 This coworking space in Thamrin has 2 floors, which means double the size, double the fun. Plus, if you hate the jam, you can actually beat the traffic by taking on the TransJakarta Busway station right in front of UOB Plaza. The plus side is the fact that it’s near several hotels surrounding the Bunderan HI area, such as Hotel Indonesia, Kempinski, Mandarin Oriental, Grand Hyatt, and so many more. 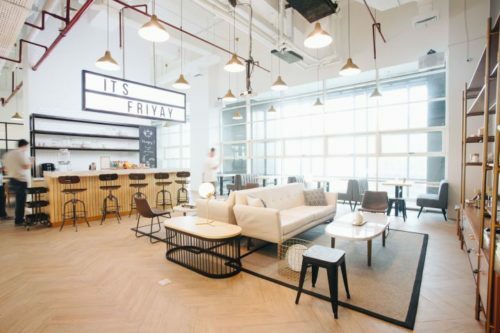 This coworking space is located between Central and South Jakarta, precisely in the fX Lifestyle Center. 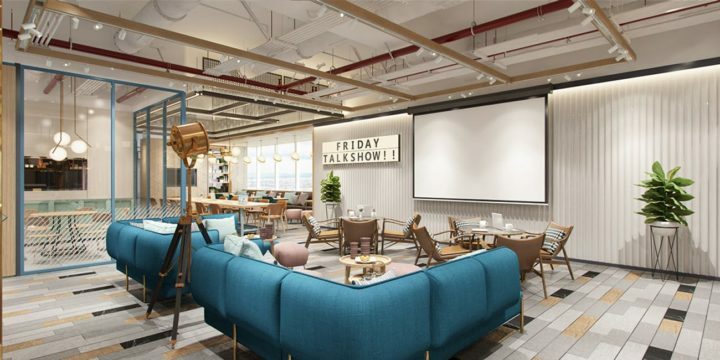 What makes it great is that it is located inside a mall, if you think that the previous coworking space mentioned is too high end to find something to eat. Well, this place has several affordable foods to eat, no need to worry about that anymore. Moreover, it is near several malls. Such as the iconic Plaza Senayan, Senayan City, GBK, and the really hip Senopati – Gunawarman – W. Monginsidi area. The place also has Djournal Coffee from Ismaya serving artisanal coffee to keep you hydrated, so you won’t need to bother finding a coffee shop in Jakarta to work, this coworking space brings that coffee shop to you. One last thing, they also have a sleeping pod, called the nap nook. Feeling tired? Just go take a nap for a while, don’t forget to take off your sandals before heading to sleep! By the way, for all of you who are tired of working in a normal office, do you guys know that you could actually bring your work anywhere in several Ismaya outlets? This means you could play and work while munching on pizza at Pizza e Birra, Kitchenette, Mr. Fox, and so many more! How? Well, you could simply download the Go-Rework App and book with ease. So there you go, those are our recommended coworking spaces in Jakarta. What do you think of that list? Did we help you to ease your hunt for a convenient workspace? If so, check out for more info regarding these coworking spaces in Jakarta.